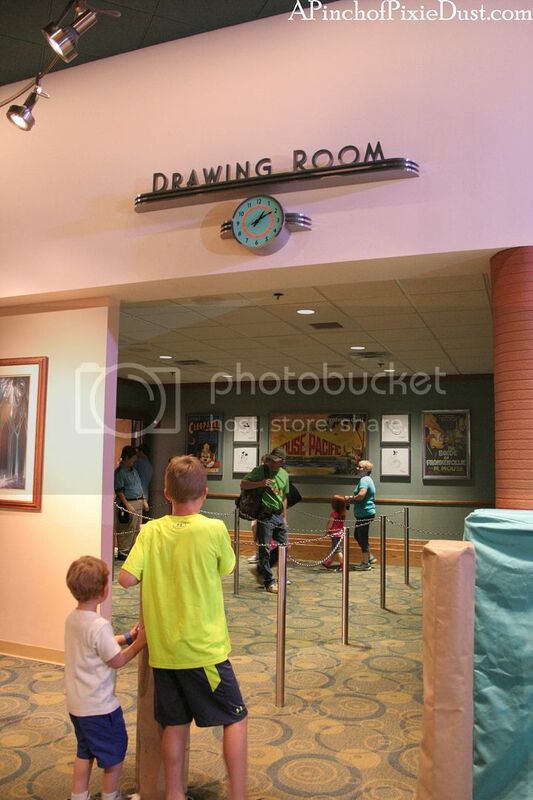 The Drawing Room is a new meet and greet area at Hollywood Studios dedicated to the one and only Minnie, and there are so many fun new details to take in! 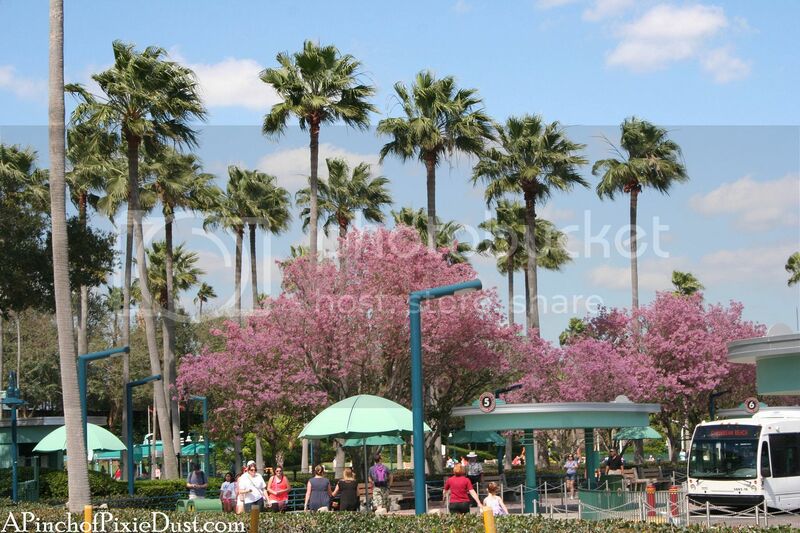 Even before you enter this park, out by the buses and rows of parking, you're immersed in a fabulous Hollywood atmosphere - the bright colors, the retro style, the tall skinny palm trees just like in LA. 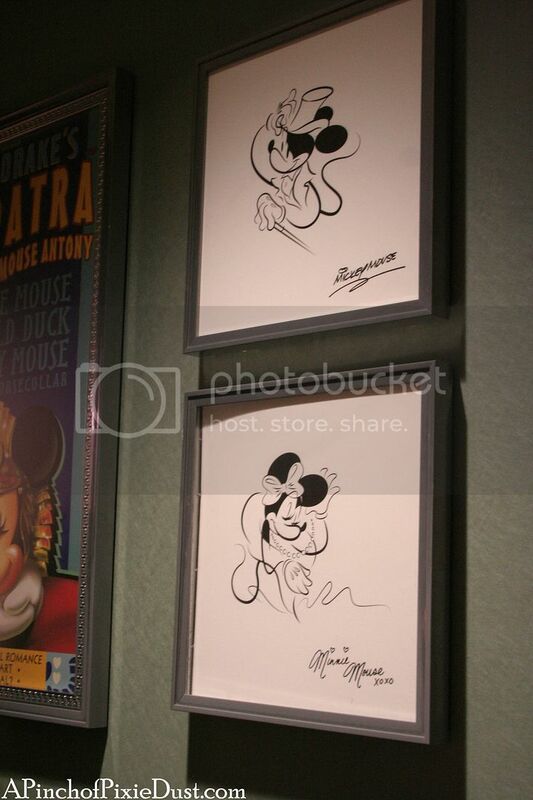 The drawing room has a room with Minnie-inspired art where you wait. 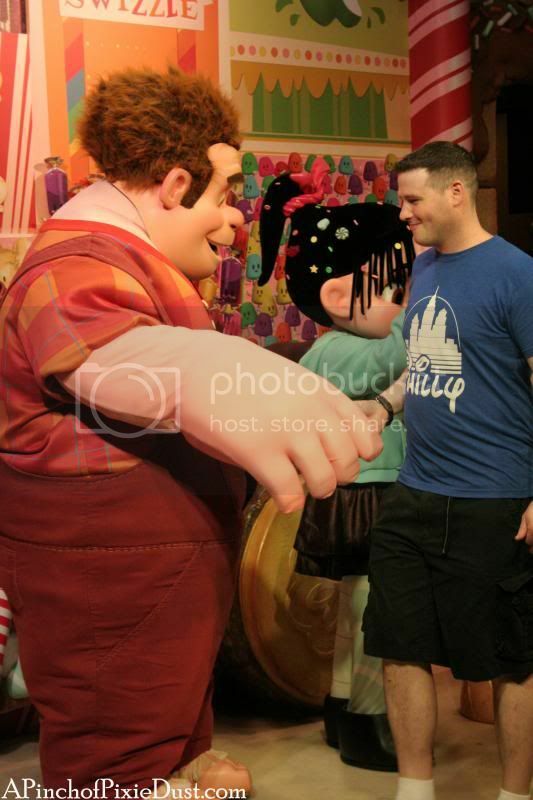 The signage and setting of is a little less obvious that some of the other meet and greets, which I think might make the line a little shorter. 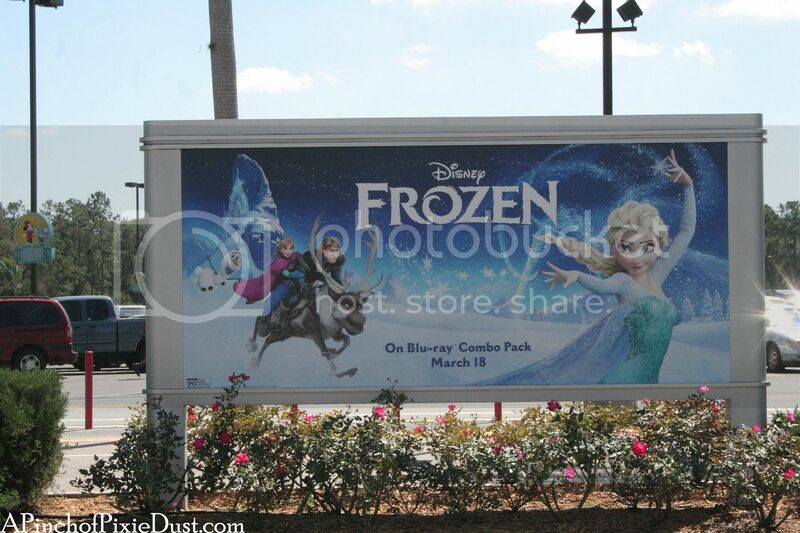 I'm not sure if you can book Fastpass+ for this yet, but I suspect that's what those covered pillars on the right are. 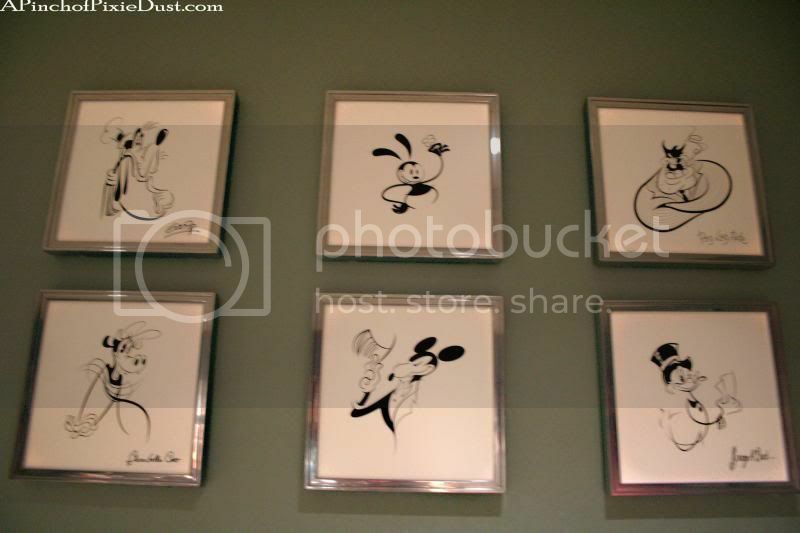 I loved these funky, Hollywood-style sketches of classic Disney characters on the walls...even Oswald! 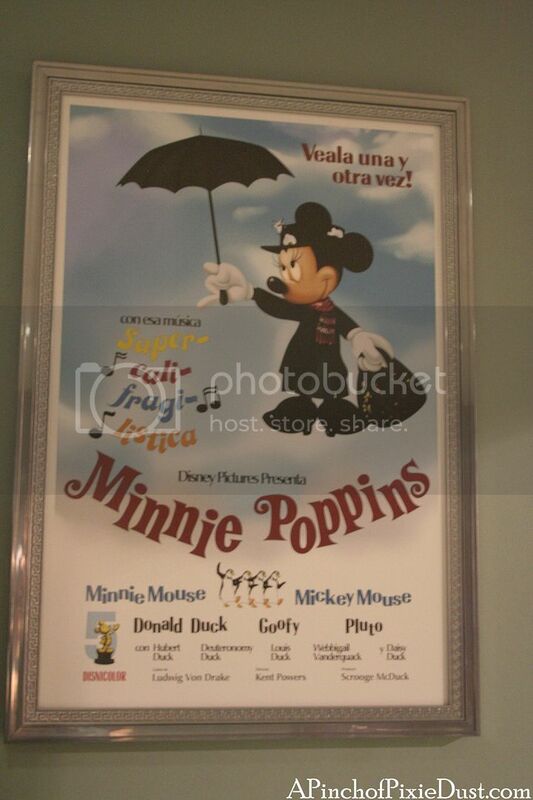 Minnie and Mickey are on the left, Donald and Daisy on the right. 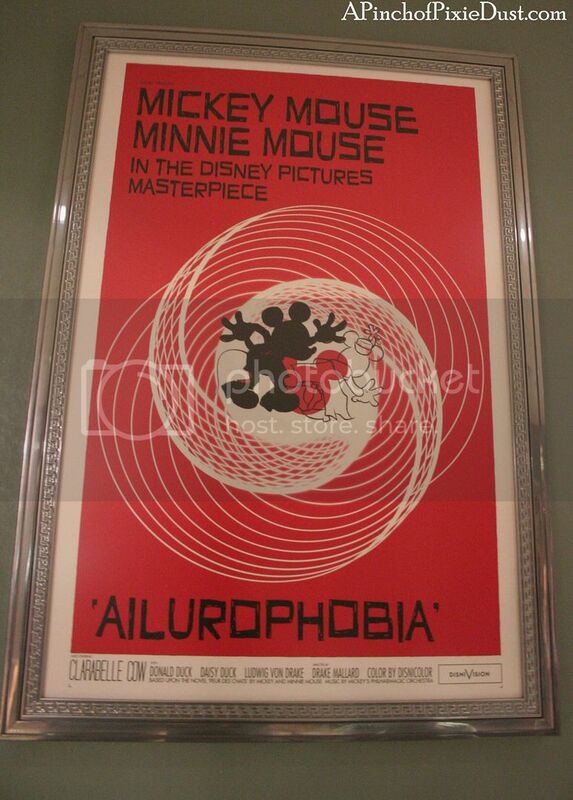 Minnie is such a star - all of the posters were inspired by her and classic movies (with some hidden nods tp Disney legends!). 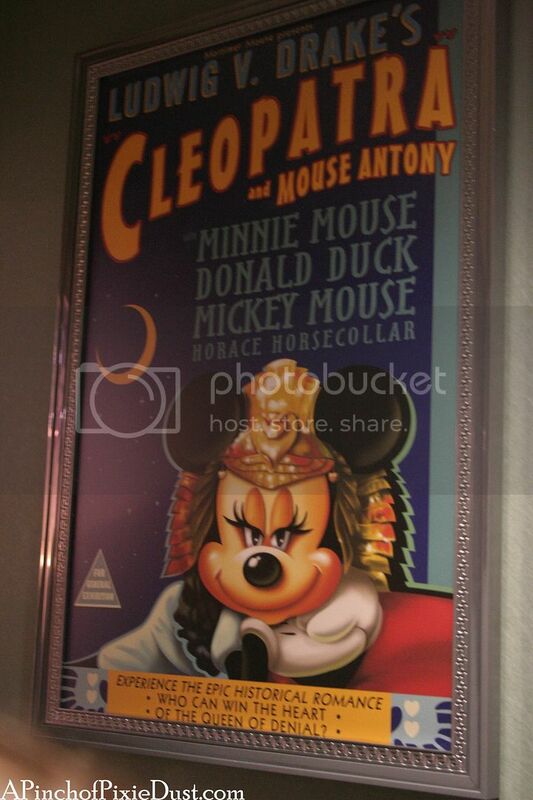 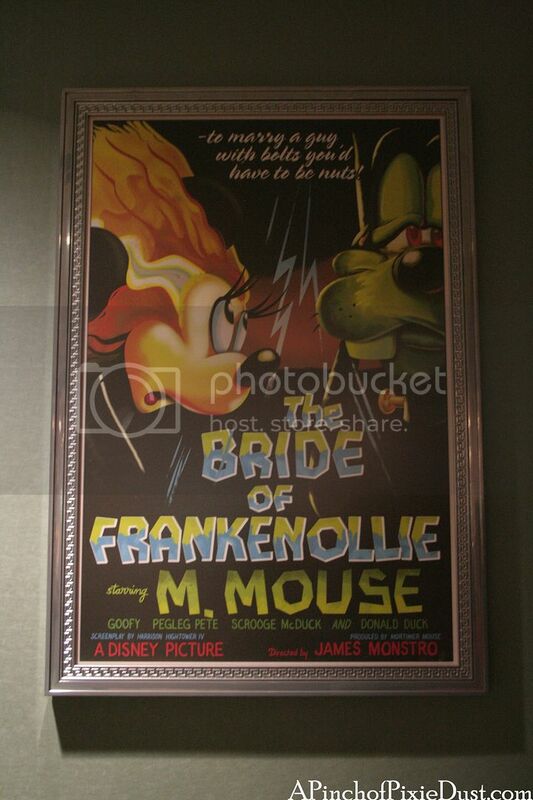 There's "The Jungle Cruise," "The Bride of Frankenollie," and "Cleopatra and Mouse Antony." 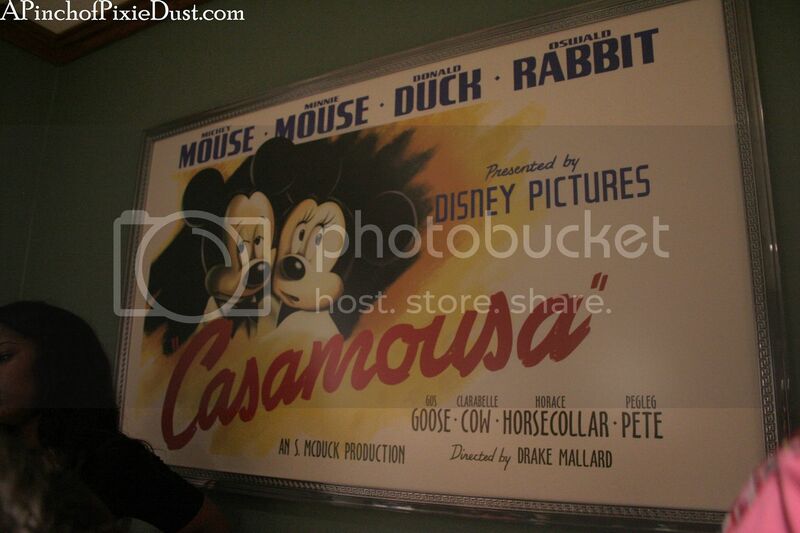 Here's "Casamousa" instead of "Casablanca." 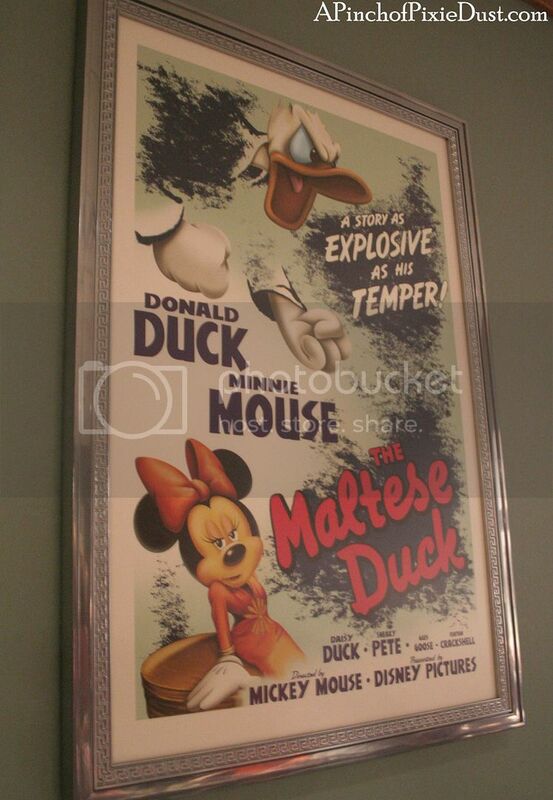 Also "The Maltese Duck" and "Ailurophobia." 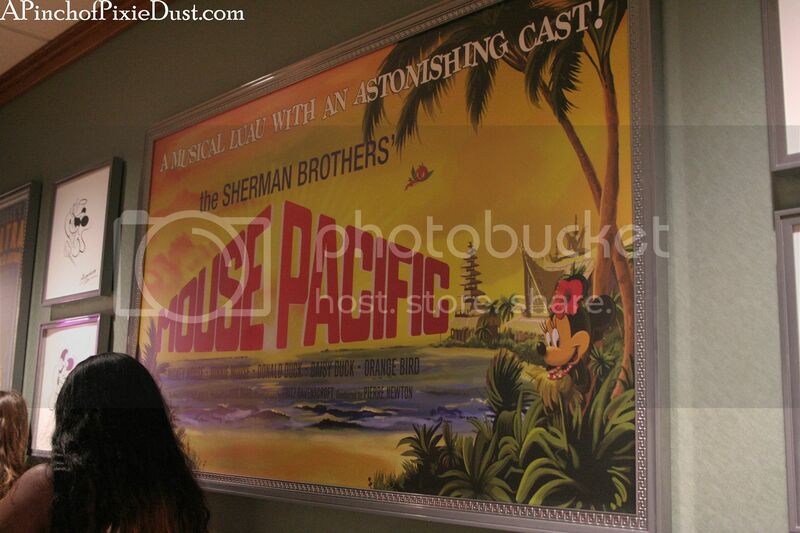 A tropical Minnie in a poster for "Mouse Pacific." 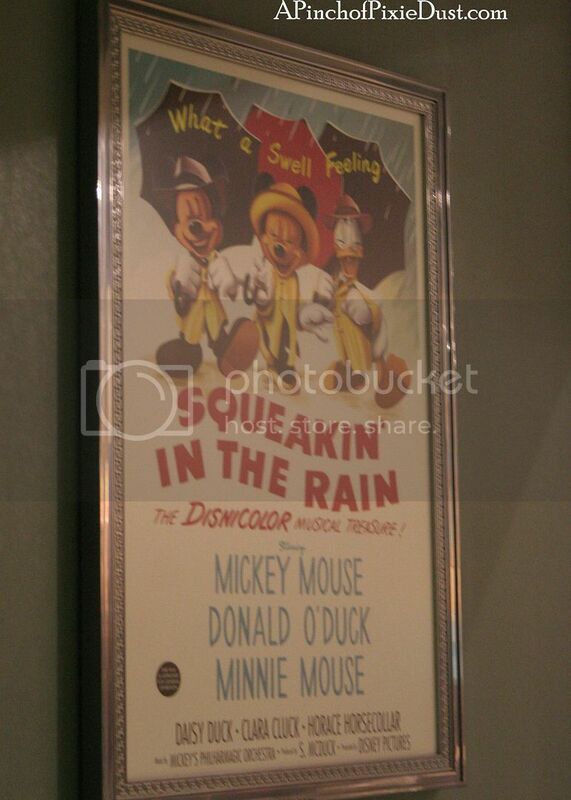 My two favorites had to be "Minnie Poppins" and "Squeakin' in the Rain" - adorable! 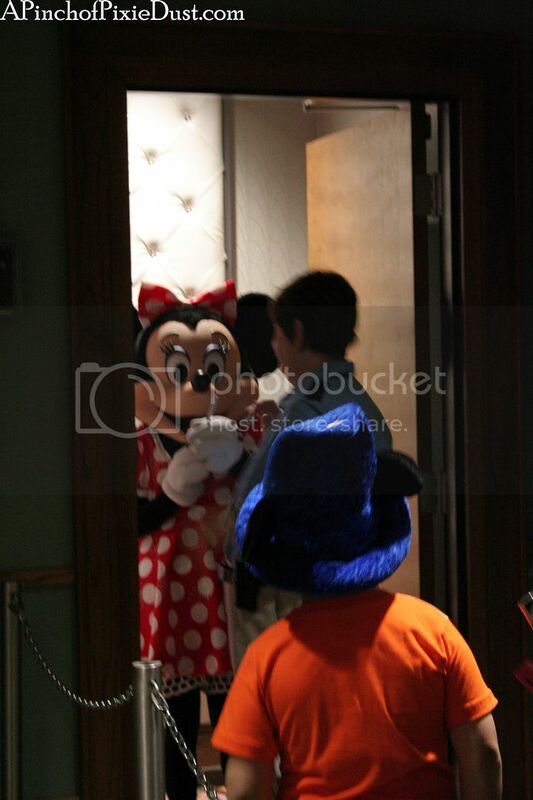 When you reach the top of the line, the parties go in one by one to meet Minnie. 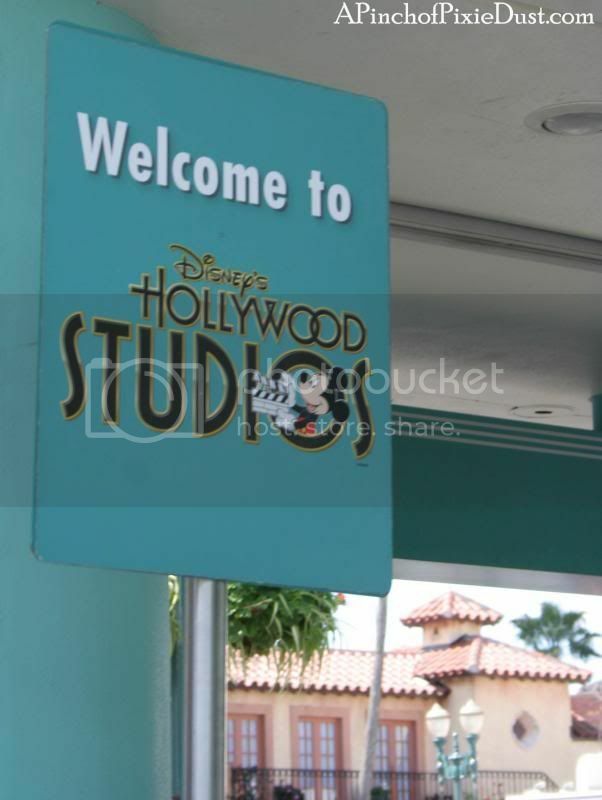 This is SUCH a glamorous greeting area! 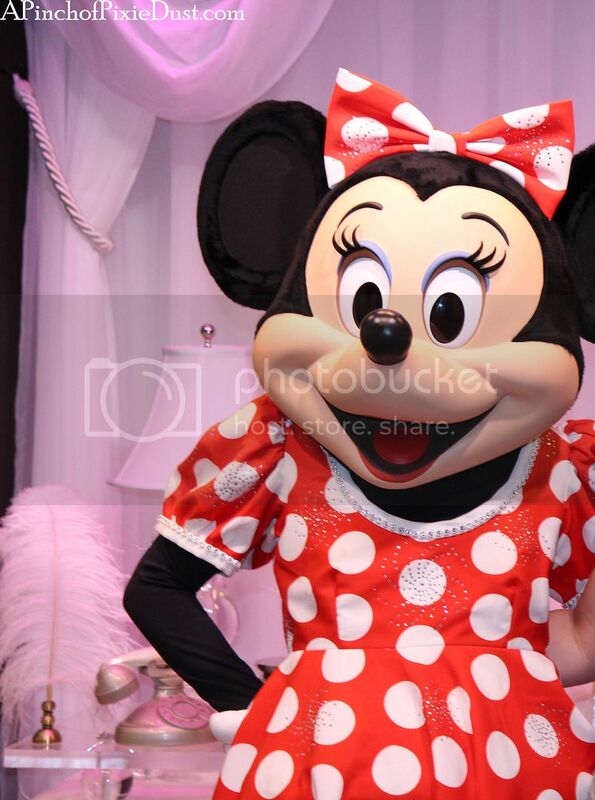 I love that they gave Minnie's dress some bling - although I feel like she could be wearing a fabulous, feathery, Ginger-Rogers-style dress and still fit right in. 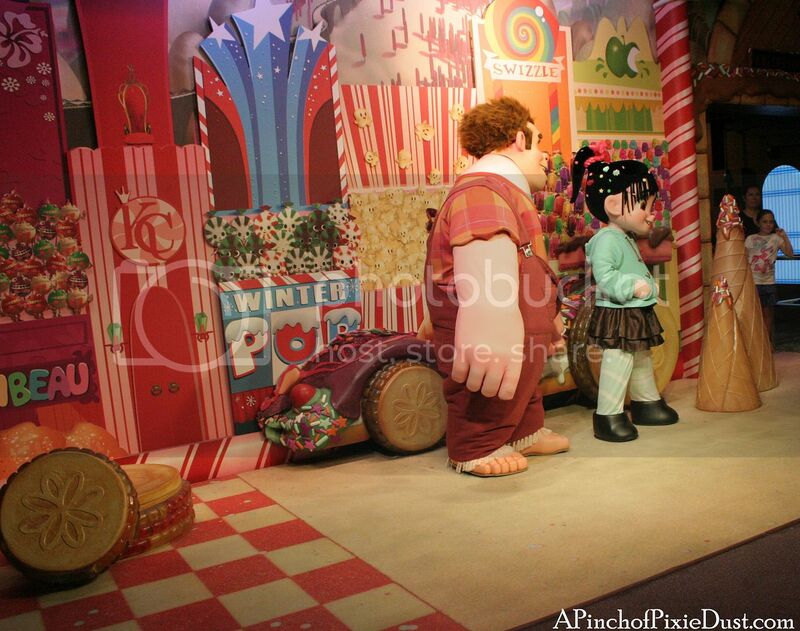 Speaking of feathers, check out the quill and silvery phone behind her elbow! 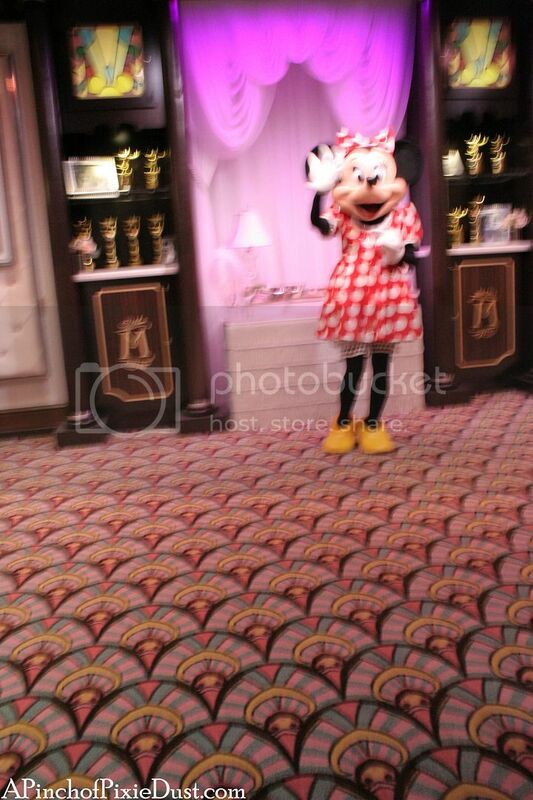 There are so many fun touches in this room - it's hard to take them in because Minnie herself is right there! 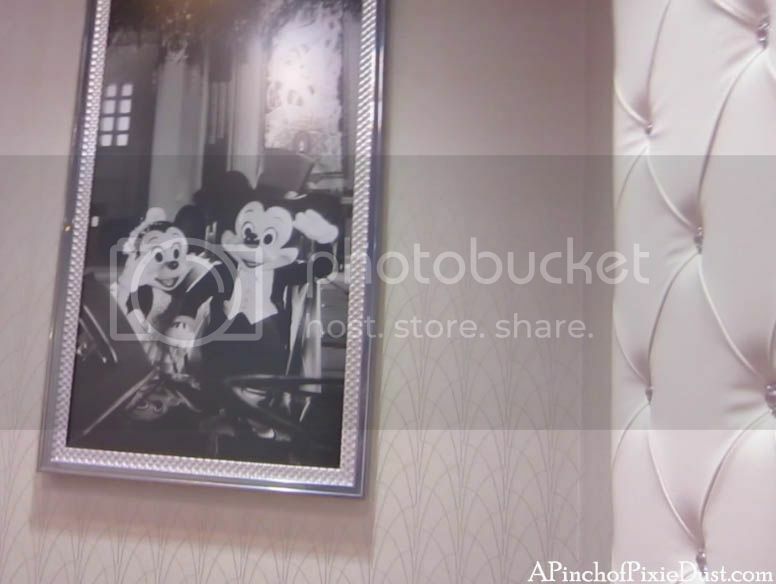 But I loved the black and white photos from her starring roles, and her shoes and hat box tucked in the corner. 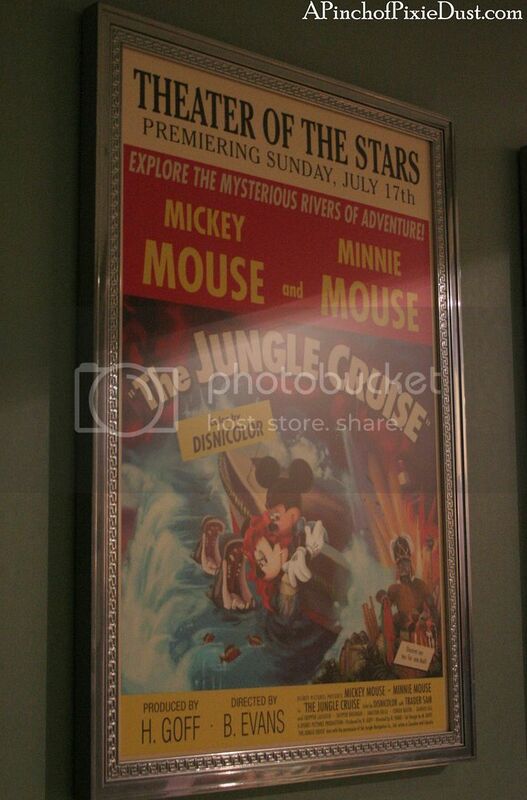 The Hollywood photos reminded me of the safari photos at the Adventurers Outpost at the Animal Kingdom. 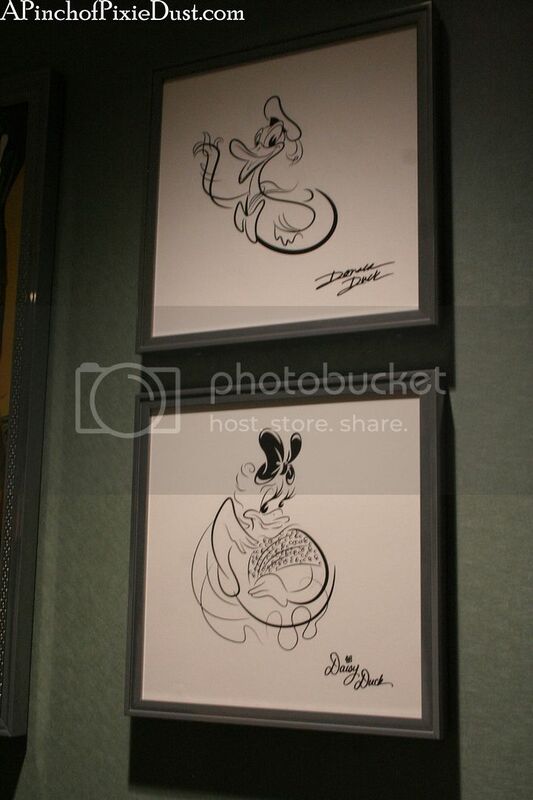 Also, I so want that ottoman with the fringe and bows! 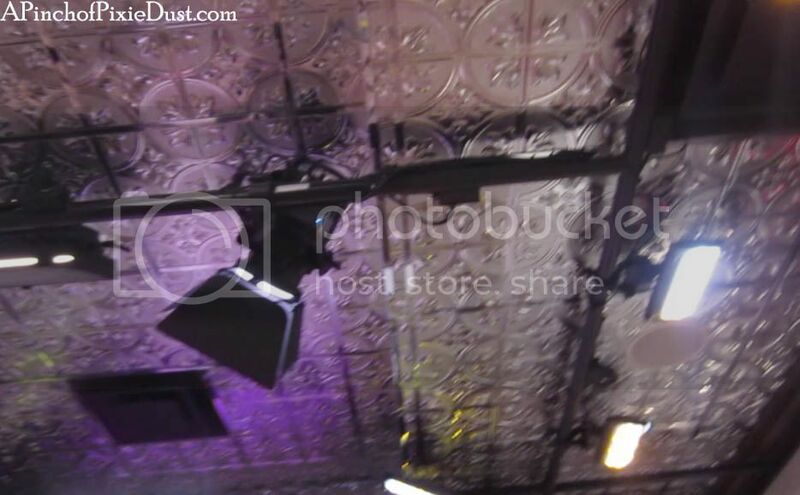 Even the ceiling of this room was sparkly! 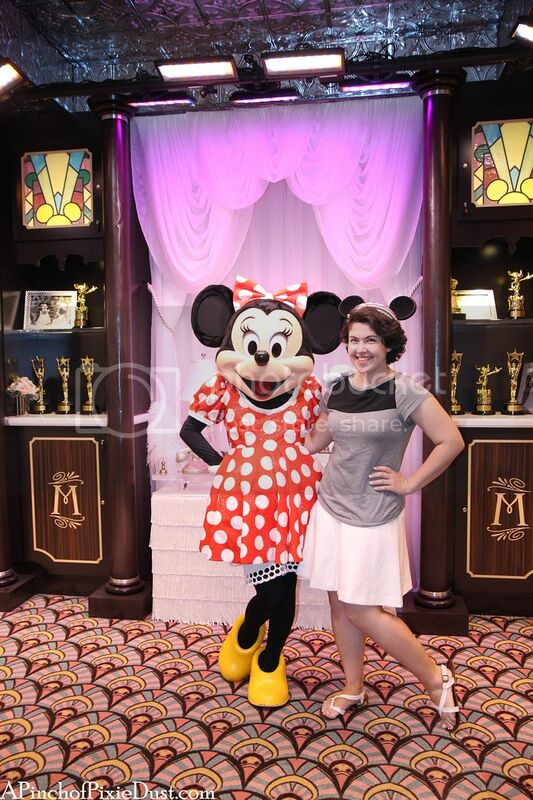 Will you be meeting Minnie in the drawing room on your next trip?